Katherine Holmes has worked with small press publishers and as a self-published indie author. Learn more about her impressions of both processes, as well as which marketing method she believes helps indies the most. 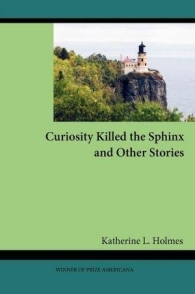 Winner of Prize Americana, Curiosity Killed the Sphinx and Other Stories is a collection of short fiction exploring the complexities of life. Laying the profound beside the mundane, author Katherine L. Holmes creates rich and complicated characters who search for identity, meaning, and purpose within a world often dangerous and sometimes even cruel. Her readers relate to such struggles and find comfort as they face similar challenges of their own. A couple clashing with early computers, a divorced woman finding her scattered family to be strangers, a girl running away to the shop where her parents’ antiques were sold, Midwestern college students in weather and water emergencies – these are some of the conflicts examined by the author. Past solutions tempt these characters as they consider contemporary choices. Short story collections are difficult to market. I entered the Prize Americana contest and won. I was awarded publication by a small press publisher, Hollywood Books International. I’ve published poetry and fiction in journals and believe in the small press process. P.I. Barrington blends sci-fi and romance in a unique and accessible way with her book Isadora DayStar. Read why she prefers traditional over indie publishing and how she uses reviews in her marketing strategy. When drug-addled assassin Isadora DayStar finally snags a major interplanetary killing job, she thinks it will both support her habit and revise her status as the laughingstock of her profession. Instead, she embarks on a journey that brings her face to face with her tortured past. First, I think I wanted to see what I could do with a novel that didn’t have too much romance and, more importantly, how people would respond to something darker in sci-fi. Also, I think I wanted more control of what I was writing, how I was promoting it, breaking out of rules of genre and publishing. I wanted something that both men and women would find interesting rather than staying within the usual boundaries of what women read which is mostly romance. I wanted to bring women to the idea of reading something outside their comfort zone that was still interesting and engaging to them. I also desperately wanted to have men read and respond to my novels too. I thought they would respond positively by the grittiness as opposed to tossing the book thinking “Ugh, romance.” The first man to review it loved it so much he compared it to Gene Roddenberry. I wanted to be free enough to write something commercially viable and attractive to both men and women. Both now with Isadora. I personally prefer traditional publishing for several reasons. First you have editors who are generally excellent and are just as committed to making your work a success. They double check your work and let you know what needs to be fixed. I have no problem with that at all. Second, the responsibility of creating cover art for your novels is not on your shoulders and I was blessed with literally the best cover artist in the world for my first trilogy, Future Imperfect. Third, psychologically, you have the security of a publisher behind you, regardless of how much they participate or don’t in your promotional efforts. I first tried a traditional publisher rather than self-published because I wanted the experience of working with one and for the reasons listed above, including to see if I was good enough for someone to accept my work. I have no complaints about that experience whatsoever. It taught me so much and I’m so appreciative of that. It boosted my professionalism and made me take my writing seriously. It’s much more work. As I said, with traditional publishing, you have people who double check everything and help you polish your manuscripts and create your book covers. With self-publishing, you’re responsible for all that. It’s more frustrating doing it yourself, especially trying to stay on top of things on your own. As I said, self-publishing is a lot more work but the freedom you gain with it balances it out for the most part. Usually, creating a professional relationship between myself and reviewers works well for me. I approach them personally and try to be as professional as possible at the first contact. I make sure to let them know I am appreciative and I also make sure they know that I want as honest a review as possible. I used to be a newspaper reporter so I still believe in not influencing the press so to speak. Amazingly, that very first man to review my work was completely unsolicited. He got word of it via a Facebook remark, picked it up and loved it—I thanked the person who mentioned it and the reviewer as well. Courtesy goes a long way. I’m just about to start my very first blog tour this month (April) and I’ve never done one before so I’ll see how that goes—I think it will be pretty positive. Well, lately I’ve been staying away from big book sites like GoodReads or Shelfari and a lot of group sites. I’m not good at them and it leads to frustration for me. Plus I don’t have the time to devote to them as they need; you really can’t take advantage of what they offer unless you participate regularly. I’m always writing—always. Plus, I’m not a people person so that makes it more difficult too. If I’d known people would respond so positively and that you could submit to agents and editors as a debut author, I’d have done that. I thought you had to have all these writing credentials so I went with publishing first. But I’ve seen so many agents and editors who have accepted authors with nothing published before that I regret not researching that first of all. I must tell you first off that I am very superstitious about talking about things before they happen—comes from years of working in Hollywood! Let’s see, what can I tell you? I am working on two sci-fi projects (both with definitely more romance than my previous stuff—it’s a major plot line actually) a mystery, and a sci-fi novella I started years ago. P.I. Barrington is the brand. Under that banner there are different genres: sci-fi, commercial, horror shorts on occasion, a little bit of romantic-type stuff. P.I. Barrington is the brand that I want people to associate with intense writing; I want it to be instantly recognizable as quality work. They’re available on Amazon.com, Smashwords.com, and DesertBreezePublishing.com. I also have an official website with information at thewordmistresses.com (my sister, Loni Emmert, and I both co-author and write independently). Blogs: pibarrington.wordpress.com, thewriterlimitsauthors.blogspot.com, and occasionally a column or two for CuriosityQuills.com. 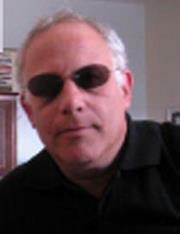 Ted Gross is a short story writer who’s busy with a variety of writing projects. In this interview he offers a laundry lists of recommendations for indie writers to successfully get their books out there. Ancient Tales, Modern Legends, a short story collection by Ted William Gross, presents the reader with engaging and thought-provoking stories spanning the ages. Covering subjects of love, loss, pain, desire, need, frustration and hope, these stories are meant to entertain as well leave an indelible impression upon the reader. This is not a book to dismiss easily. Enjoy it, grow with it. You will, in turn, be haunted by it and the stories will remain with you long after you have closed the pages. As almost all authors will tell you, their work in writing is a labor of love. “Ancient Tales, Modern Legends” is a collection of stories that were written over many years, sometimes in great pain, sometimes with great joy, and is certainly a labor of love for both the author and the reader. As colleagues read them, and some were published, I was prodded to publish the rest. It is my hope that they will make you, the reader, stop and think, perhaps just about the waywardness of life. They all are short stories in the pure art form of this genre. I followed the industry for many years. I have watched the indie book explosion. I have also closely watched the trends. My feeling is that the days of traditional publishers where they were the “bully” on the block has come to an end. It is an age of “let the reader choose”. You can write just so many query letters, have just so many books accepted and then cancelled on you before you either give up or find another avenue. Indie book publishing offers another avenue. And it is becoming more and more legitimate in the eyes of readers. And certainly easier to actually go through the “publishing routine”. In the end, simply a matter of practical thought and decision. Stuart Carruthers, author of As the Crow Dies, had two very good reasons for skipping the traditional publishing route: speed and creative freedom. He explains why reviews are important and why you should create a buzz around your book before it’s released. A high speed, action packed novella set in China. Hong Kong resident and journalist Harry Patterson is sent to investigate a mundane story about a new CEO at a technology company. 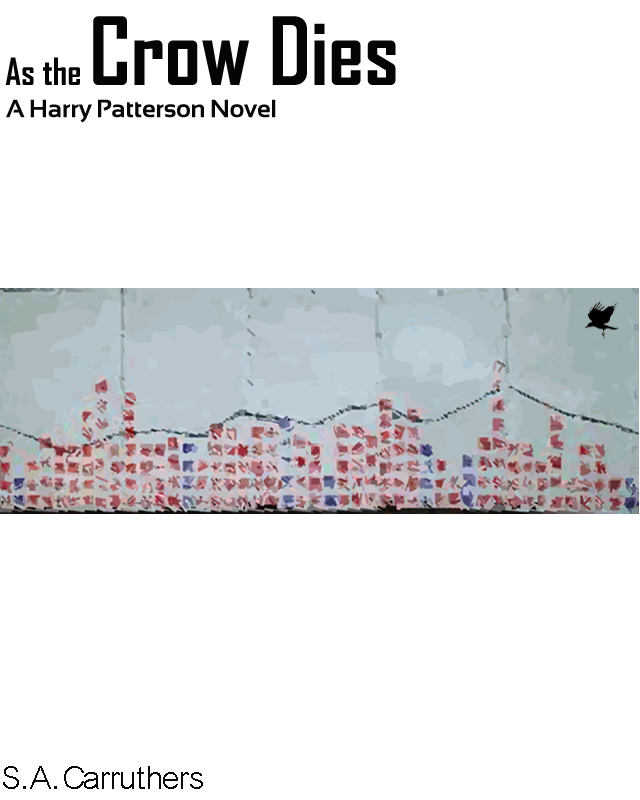 But when there’s a murder and the secret service are involved, Harry’s world gets turned upside down and it leads him to discover more about the underbelly of China than he ever knew. Fear of rejection! But seriously I think it’s a sure fire way to get your book out to the public in the quickest time. No. I opted not to spend my time touting the book to agents for a couple of reasons: (i) speed; it takes a long time to get an agent and then if you get lucky, sell it to a publisher who then takes a year to get it to market (ii) I have more creative freedom; if the book doesn’t sell, I can revise the description and the content to push things in a different direction. It’s early days, I only published the book at the end of January, so I haven’t really come to grips with marketing it or myself.